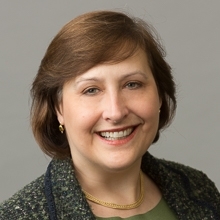 As the financial reporting needs of clients become more complex, Barbara Javorcic, the Firm’s Chief Financial Officer since 2002, leads the accounting department in developing the most efficient ways to meet those needs. Ms. Javorcic is a licensed CPA and has several years of additional experience at public accounting, law, and consulting firms. She is also a Certified Legal Manager (CLM). From e-billing to sophisticated reporting, Ms. Javorcic works with her experienced staff to provide timely, relevant information to clients. Ms. Javorcic and the accounting department handle financial transactions for the Firm, including billing clients, paying vendors, recording receipts from clients, processing payroll, and administering the Firm’s retirement plan. She and the department frequently work together with clients to accommodate their electronic billing needs and provide periodic summaries and analyses of billing information upon request. The Firm works with many other law firms around the world and the accounting department makes payments to them in over a dozen different currencies.